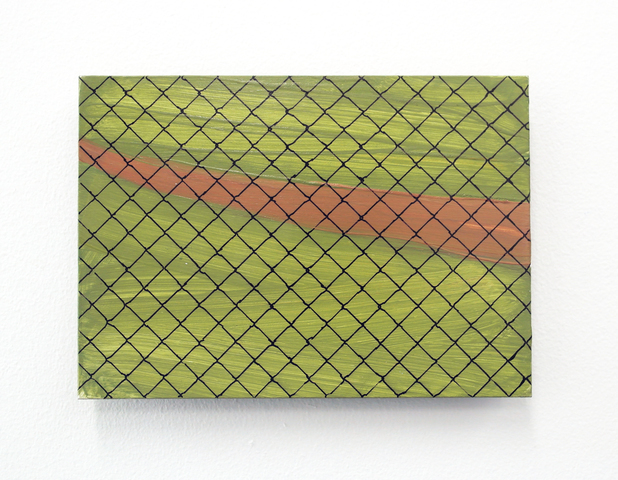 Fence, Path and Path, Fence, (both 2018), were initially selected as a pair of painted works by curators Jack Doyle and Richard Ward of PS Mirabel, Manchester, to appear in the annual open exhibition, Twice as Nice. Following their selection for the exhibition, this pair of works won the Top Prize at the exhibition. An established annual exhibition, it has been running since the establishing of Mirabel Studios (and the associated gallery) in 2009. To facilitate the judging of the 2018 exhibition, the curators of PS Mirabel invited Claire Owen (Curator, Chapel Gallery), Matt Retallick (Curator, Turnpike Gallery) and Jason Thompson (2017 Winner) to the space to view the works ahead of the prize-giving. 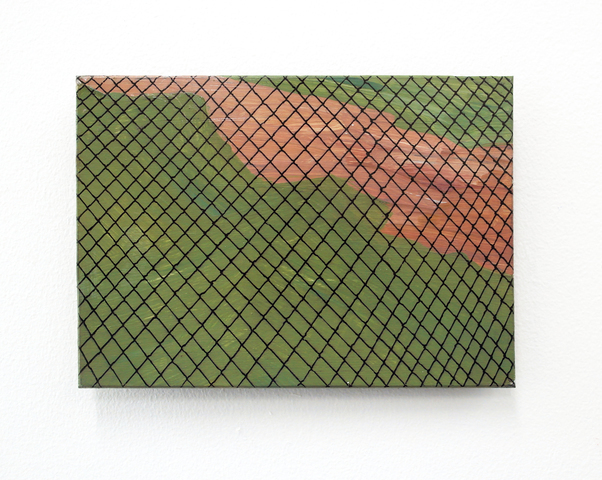 Twice as Nice, featured 104 selected works, from 52 artists, after initially receiving over 300 submitted pieces. 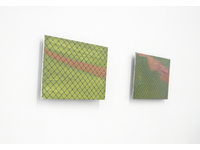 The exhibition included practitioners of international standing such as Enzo Marra, Susan Gunn and Garth Gratrix. In addition to the monetary award, the prize featured a solo exhibition in 2019 at PS Mirabel. This show will take place during May 2019. 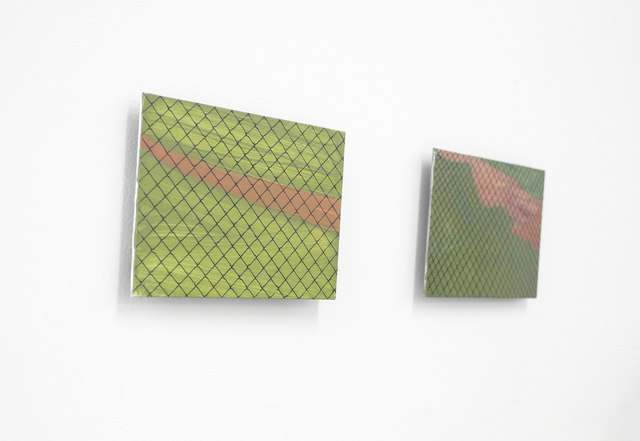 'Fence, Path' and 'Path, Fence' (both 2017-18) are works which reflected on a specific site north of Glasgow, in which parallel red blaes paths ran at either side of a chain link fence. Previously a football pitch (with a surface comprised of the typical Scottish red cinder), the site has now become overgrown, with the distinctive blaes surface now being covered in grass and weeds. The parallel paths now exist as red lines traced at either side of the metal, chain link fence. 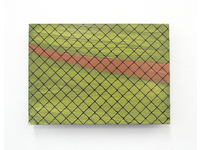 At one time the fence represented a barrier between two different pitches, separating two different games or areas of recreation. 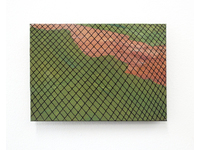 Now however, it offers up a slightly odd scenario, where attention is drawn to a space in which two distinct paths head in the same directions, lines in space which are certainly used (as no ground cover grows there) but which are kept apart by the often unnoticed barrier weave of the chain link fence.